Here's more news about a PC hardware company which has expanded beyond its traditional confines during CES 2018. Phanteks has entered the PSU market this week with the Revolt line of PSUs. 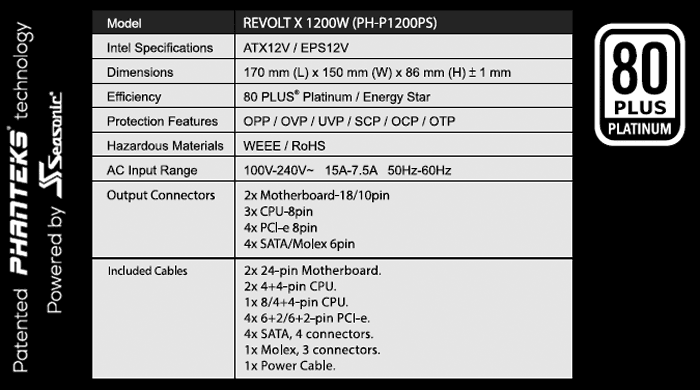 At this time there are just three PSUs within two ranges; the Revolt Pro in 850W and 1000W, and the Revolt X in 1200W. These PSUs have been designed in collaboration with Seasonic. However Phanteks reminds us that it has delivered power regulatory devices previously, so this asepct of PC design isn't completely new to it (devices such as the Phanteks Power Combo and the Phanteks Power Splitter). 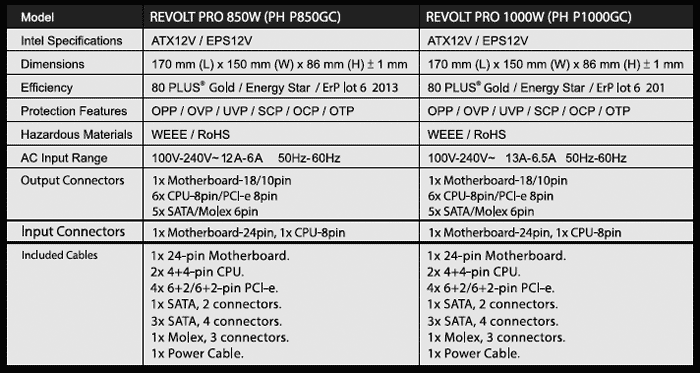 The Revolt Pro is described by Phanteks as "the first expandable power supply". If you equip a Revolt Pro you will be able to connect any other power supply and combine the total power output. Another idea is to connect a secondary PSU and use it as a back-up power source thanks to the integrated Revolt Pro redundancy feature. When used in dual PSU configuration, the 80 PLUS Gold Revolt Pro will continuously balance the power load of both power supplies and maintain the best efficiency levels. 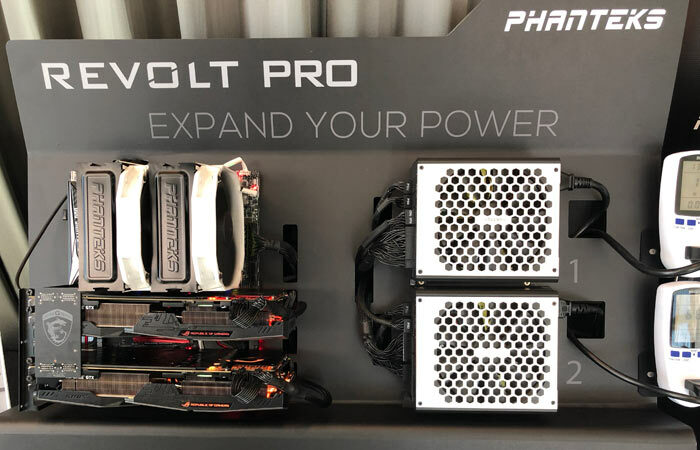 Phanteks envisions the Revolt Pro PSUs being used in high-end gaming, pro workstation, data server, and mining machines. The Revolt Pro 850W comes with an MSRP of $129.99 / €129,90, and the 1000W an MSRP of $159.99 / €159,90. They will become available at the end of Q1 2018. The Phanteks Revolt X is designed for those who wish to run dual systems from a single PSU. 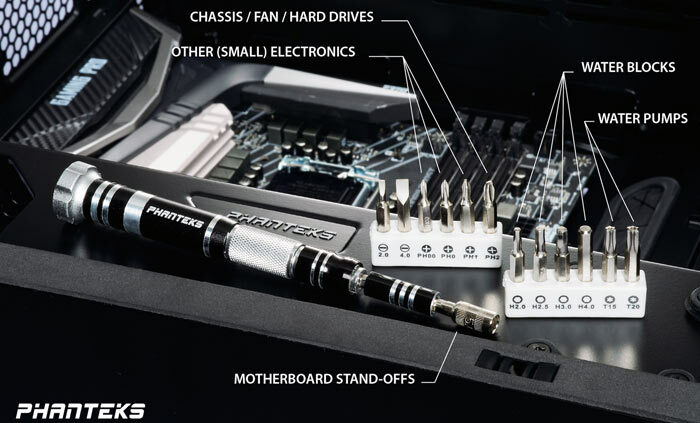 For this purpose the PSU includes dual motherboard and CPU output connectors. 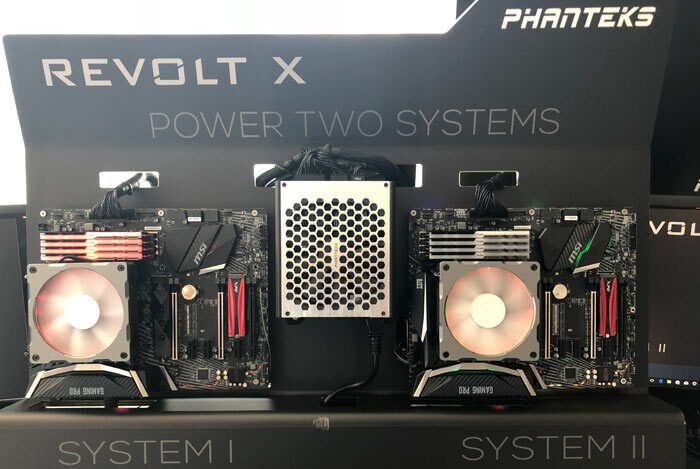 Phanteks says its 80 Plus Platinum Revolt X offers continuous load sharing between both systems to improve the total efficiency compared with when using two individual power supplies. Another benefit of the Revolt X is cleaner cable management possibilities and as a space saving solution for multi-users (e.g. 1 enclosure / 2 systems). The Phanteks Revolt X will become available at the end of Q1 and priced at an MSRP of $259,99 / €259,90. Phanteks showed off some more new goodies at CES 2018. There are new Eclipse P300 colour editions, and a new P350 X chassis. A new digital RGB controller and an expansion hub were launched. Phanteks showed off its Halos LUX Digital aluminium RGB frames for cooling fans. The Phanteks Glacier Series C350 waterblock acetal editions were showcased. Last but not least the Phanteks Toolkit for PC builders was launched ($19.99 / €19,90). Most of the products mentioned above aren't to be found on the Phanteks website as yet, but you can read more if you download this specially prepared CES 2018 press-kit PDF. not as big as the ones with grills across the fans, which you can loose a cat in…..